Did you know that April was Earth Month? In our practice as anesthesiologists, what we do every day can directly impact the environmental footprint of our hospital. The inhalational anesthetic gases we deliver to our patients are greenhouse gases. The exhaled anesthetic gas from our anesthesia machines is vented off the roof of the hospital, and these gases remain in the environment for several years (see Tables). 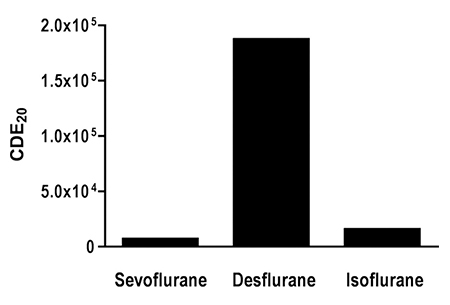 Environmentally sound choices such as using isoflurane instead of desflurane or sevoflurane and using low-flow anesthesia can mitigate these effects. In addition, the operating room is responsible for approximately 30% of all the waste in the hospital and is the largest producer of red bag hazardous waste, which requires incineration and is more costly to dispose of compared to clear bag waste. Did you know that unless an item is saturated in blood or infectious material, it can be placed in a clear bag trash can? Proper segregation of trash in the operating room can also reduce both red bag waste and the cost of waste disposal, and we as anesthesiologists can lead the way in educating our colleagues about proper waste disposal. Pharmaceutical waste is also a major problem. Unused, wasted medications thrown in the trash or placed down the sink eventually enter our soil and water supply via landfills. Medications have been found in ground water in almost every state in America. This is concerning because propofol and morphine are toxic to aquatic life. We as anesthesiologists can reduce this impact by using unit dose pre-filled syringes and drawing up only medications that need to be administered. With the recent widespread medication shortages, wasting less can mean having more available! Medication disposal systems, which we use at UF Health, offer an alternative to the sink or trash can; these systems solidify the liquid medication and bind the pharmaceutical to a denaturing agent. Adapted from Ryan SM, Nielsen CJ. Global warming potential of inhaled anesthetics: application to clinical use. Anesth Analg 2010;111:92-98. For the first time in many years, UF Health celebrated Earth Day on April 12, 2018! The celebration consisted of several displays in the North Tower Atrium highlighting our sustainability initiatives and providing education to patients and staff on recycling and reprocessing. The operating room display demonstrated our cost savings from using hard cases instead of blue wrap for sterile instruments. Our food services department displayed their use of recyclable plates, bowls, and cups, and our facilities department demonstrated their myriad energy-saving strategies throughout the hospital. Environmental services provided education on what needs to be placed in a red bag trash can and what does not, and Alachua County Recycling provided resources on recycling and composting. This year’s event was a huge success and we hope to make it even bigger in 2019! Relative global warming impact of 1 MAC-hour of three inhaled anesthetics at 2 L fresh gas flow. In March 2018, UF Health became a member of Practice Greenhealth, an organization that works with hospitals to expand their sustainability efforts. This partnership will provide resources and support to UF to expand our efforts to reduce our carbon footprint. Our current efforts have conservatively saved the hospital almost $300,000 this past year. This is probably an underestimate due to the challenges of data collection, but these endeavors were significant enough to earn UF Health a “Greening the OR Environmental Excellence” award from Practice Greenhealth! Our goals for the upcoming year are to create a Sustainability Dashboard to track and highlight our environmental successes and to continue to increase awareness about sustainability throughout UF and our community. So, to the anesthesiologists reading this, I encourage you to do your part! Recycle at home and at work. 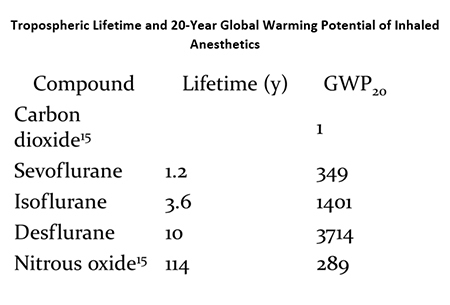 Use low-flow anesthesia and consider isoflurane or IV anesthetics to reduce greenhouse gas emissions. Draw up only medications you plan to administer. And get involved: Join your hospital’s green team or start one! Be a Green Gator! 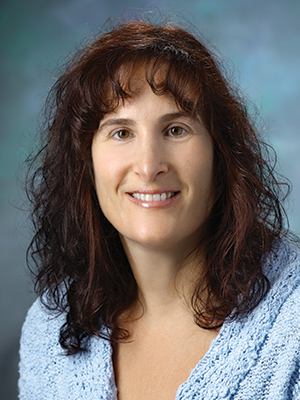 Lauren Berkow, MD, is an Associate Professor of Neuroanesthesiology at the University of Florida. She joined the faculty in 2016 and currently serves as the Director of Supplies and Equipment for the Department of Anesthesiology with a strong interest in sustainability. She was recently elected to the UF Sustainability Committee. As the sole representative of the College of Medicine on the committee, her goal is to increase collaboration between the undergraduate and medical campuses related to sustainability initiatives. While a faculty member at Johns Hopkins, she served on the Johns Hopkins Health System Sustainability Leadership Council and was a member of the Maryland Hospitals for Healthy Environment Advisory Board. In 2015, she was awarded the Maryland Hospitals for a Healthy Environment Physician for Environmental Health Award. She is a member of the American Society for Anesthesiology Task Force on Environmental Sustainability and served as the liaison between this task force and Practice Greenhealth from 2013 to 2017.